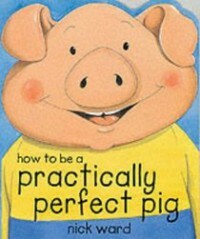 in this book the main character is a pig and he shows you a guide on how to be a perfect pig. these include factors such as never make your bed, never pick up after yourself, and take a mud bath every day. if i were to use this in a lesson i would have the students do a compare and contrast chart where the students would have to differentiate between the manners in the book and the manners that they were raised with. 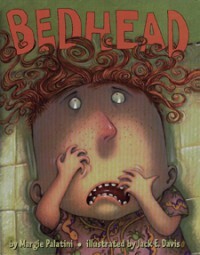 This book is about Oliver who woke up with horrible bedheair. No matter what he or his family do they can not fix his hair. They eventually solve it by putting a baseball hat on him. Sadly when he gets to school he finds out its picture day and he can't wear his hat in the picture. 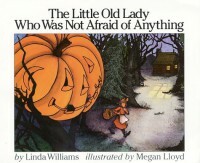 This book is about a little little old lady who wasn't afraid our anything. She went for a walk in the wood and gets followed by moving clothes and a jack-o'-lantern head. She becomes friends with them and has them become a scarecrow in her garden. This would be a good book to use during the fall. It could also be used to be read to a child who has a fear of something. This is a chapter book made to look like a poetry journal of Jack a student in Mrs. Stretchberry's classroom. At first he doesn't like writing poetry for class. However, with encouragement he opens up more to poetry. 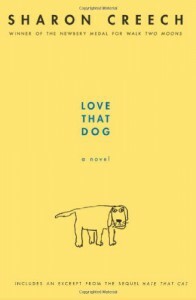 As he opens up more to poetry he also opens up more about his pet dog that he used to have. At the end of the story Jack invites his favorite poet to visit his classroom he then shares with this poet a poem he wrote about his dog. This is a good book for student who are uncomfortable with things such as writing poetry. This book could be a class assigned book where students have to read a ceratin amount each week. You could then give poetry lessons based off of the assigned writing for that week. Buster is a dog who is very loved and very spoiled by his owners. One day Buster's owners bring home a cat. Even though, the cat wants to be friends with him Buster wants nothing to do with her. 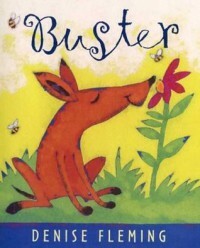 Out of anger Buster sneaks away from home but ends up getting lost. With the help of the cat Buster is able to find his way home where from then on he will happily play with the cat. This is a good book for parents to read to their children when there is a change in the house such as a new sibling being born. This could also be used to teach sequence of events in a classroom. 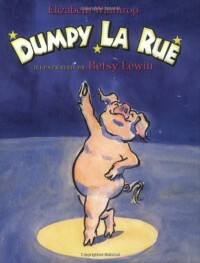 Dumpy is a pig who loves to dance, but everybody tells him that pigs DON'T dance. Dumpy doesn't listen to them and dances anyway. Soon after Dumpy has inspired the rest of the animals whom after watching Dumpy dance have come to love dancing themselves. This would be a great book for career day. This can be used to tell them the message that they can be whatever they want to be. 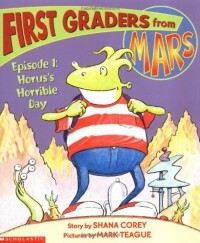 This books is about an alien named Horus who is excited to be starting first grade. Sadly,after realizing that 1st grade is different from Martiangarten he doesn't want to go back. However, with the help of his new friend he realizes 1st grade isn't as bad as he thought it was. This would be a great book to read to yours students on the first day of 1st grade. This book could be just what the students need in order to relax and overcome their first day jitters. My Friend Teddy is a sequel to the picture book Where's My Teddy? 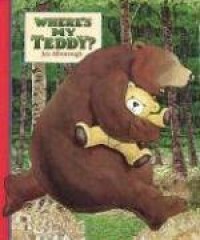 In this book, Eddie wanders back into the woods while talking to his teddy bear about being sad because his bear can't talk back. While in the woods he hears the bear crying because his teddy bear can't talk to him either. Both the boy and the bear are lonely. The boy and bear discover each other in the woods and start playing together by pretend talking through their teddy bears. When they part, they are friends and no longer lonely. 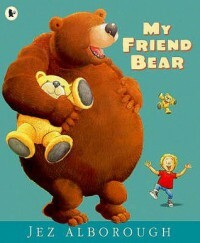 This book can be used to lead the children in a discussion about loneliness and friendship. The lexile level for this book is 370L. 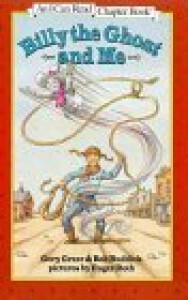 Billy the Ghost is a beginning Chapter Book about Sarah, a young cowgirl in the Old West, and a ghost named Billy that only she can see. When two men rob the bank in town, Sarah wanted to to with the men to help the Sheriff track the robbers down, but he told her that she was too young to go. After the Sheriff and his men left town, Sarah discovered that the robbers were still in town disguised as women. So, Sarah and Billy devise a plan and capture the robbers on their own. This book can be used for individual guided reading. The lexile level for this book is 270L. 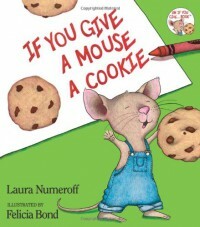 Fantasy tale about a series of events that will unfold if you give a mouse a cookie. Starting with giving the mouse a cookie, each event that takes place leads the mouse to wanting to do or have something else. The entire series of events begins and ends with the mouse wanting you to give him a cookie. This would be a good book to use to teach a lesson on sequencing or cause and effect. Rodney the rat couldn't pronounce his "r's" so he was teased by all of the other rodents at school. Rodney was very lonely an shy. Then, a new student named Camilla Capybara, joined the class and began bullying all of the other students. One day, it was Rodney's turn to be the leader in the game "Simon Says". Camilla didn't know Rodney could not pronounce the letter "r" so when he told the entire class to "go rest", Camilla thought he meant "go west". She started walking off to the west, never to be heard from again. 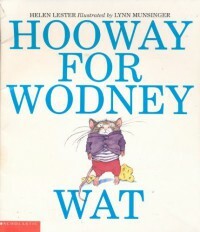 Rodney became the class hero for getting rid of Camilla. This book would be good to lead the class in a discussion regarding bullying or accepting other people's differences. 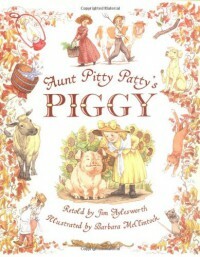 Aunt Pitty Patty takes her niece Nelly to the market where they buy a pig. But, when they get home the pig will not go through the front gate. Aunt Pitty Patty gives Nelly the job of getting the pig through the front gate. Nelly goes to a series of animals, inanimate objects, and people trying to get them to help her get the pig through the front gate. 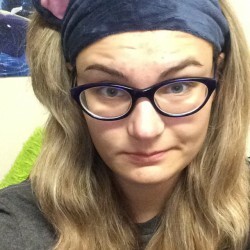 When she finally convinces a cat to help her in exchange for some milk, it sets into motion a series of events that ends with a dog biting the pig to get him to go through the front gate. This book is good for guided reading because it is repetitive and rhythmic. It can be used for a lesson on predicting and cause and effect. Eddie lost his teddy in the woods., but when he finds his teddy it has grown to be a giant-sized teddy bear. While Eddie is trying to figure out what happened to his teddy bear he hears someone else crying in the woods because his teddy bear has shrunk to be too small. Then Eddie comes face-to-face with a giant bear who is holding Eddie's teddy thinking it is his own teddy bear that had shrunk. Eddie and the bear frighten each others, so each grabs his own teddy and run back to their homes. This book can be used to engage children in a discussion about things that make them feel safe (security blankets) and things that make them afraid. 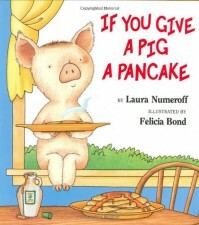 Story about an unlikely series of events that will follow if you give a pig a pancake. Once the pig is given a pancake she will want some syrup to go with it, which will lead to her getting sticky, which will make her want to take a bath, etc. At the end of the story, the series of events leads back to the pig wanting you to give her a pancake. This book could be used to teach a lesson on sequencing or cause and effect. 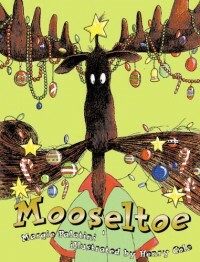 Mooseltoe is a story about a father moose with an extremely long mustache who wanted to make everything perfect for his family at Christmas. He worked tirelessly for days shopping, wrapping presents, decorating and baking. However, on Christmas Eve he discovered that he had forgotten to put up a Christmas tree. When he couldn't find a Christmas tree to buy, he let his children put paste in his long mustache so they could shape and decorate it like a Christmas tree. Then, he stood in the corner covered in Christmas tree lights and decorations waiting for Santa to come and leave presents underneath his mustache Christmas tree. This book can be used to teach children about unknown text. They can use clues in the pictures to help them decode the meaning of certain words (tickling the ivories, galore, blustery). Eight grade school children go on a field trip to a turkey farm the day before Thanksgiving where they meet eight turkeys with names. When the children discover that their new turkey friends are intended to be Thanksgiving dinner the next day, they save them by hiding the turkeys under their shirts and sneaking them back to school on the bus. The next day, instead of eating turkey for Thanksgiving dinner, they each have a turkey as a guest for Thanksgiving dinner. The story is told in the same style as 'Twas the Night Before Christmas. 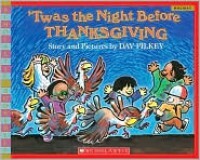 This would be a good book to read to the class the day before Thanksgiving break. It can be used to teach a lesson about rhyming words. The students can also use illustrations and context clues to help them decipher unknown text (boarded, terrain, clatter).